Hello everyone. Today is a double whammy day. I have the above Hanukkah card here on my blog and two other cool, mixed media type of Hanukkah cards on StencilGirl's blog! 3 cards in 1. Please click HERE or the photo below to check out the other two cards (but not until you check out this card first - LOL). The cards look like a lot of work - but they aren't. But I do love the colors and the designs. 1. Cut the dark blue cardstock for card base. Cut silver cardstock and adhere to dark blue cardstock. Set aside. 2. On a piece of scrap white cardstock, trace 1 of the large "candles" and 8 of the smaller "candles" from the Shattered stencil. I suggest using a pencil to trace and then go back with a permanent marker afterwards. 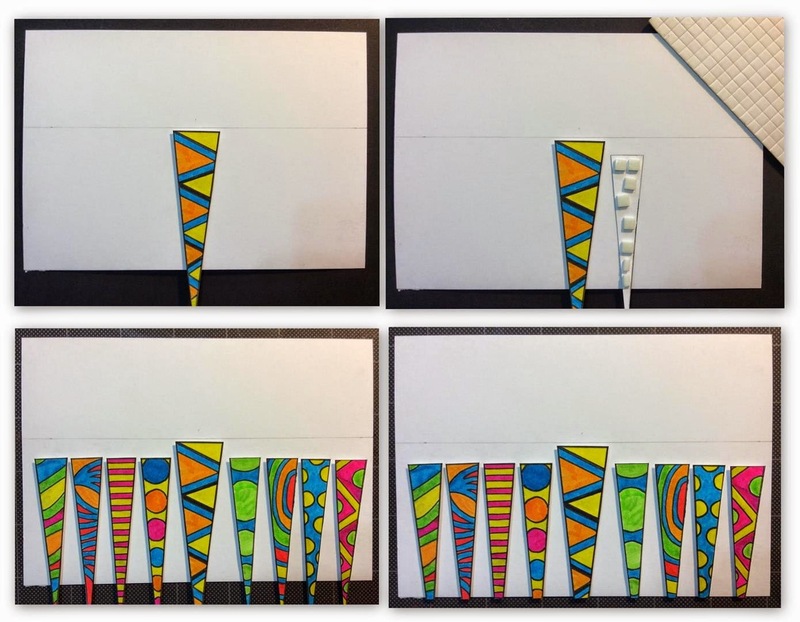 Using the different elements on the Shattered stencil, design each of the "candles" with a pencil. Then trace with the permanent Marker. Then color them in and cut them out. 3. Take the white cardstock and draw a light line at 2 3/4" from the bottom. 4. Apply some small pop dots to the back of each candle. Starting with the center candle, align it in the center along the line you drew. Then adhere the other 8 candles. Trim off the bottom of the candles. Then erase the pencil line. 5. After looking through my stencils for something to use as the candle flame, I found it within the Peacock stencil from the January 2014 StencilGirl Club kit. Traced it 8 times. Colored them in, cut them out and adhered above each of the candles. Then adhered the white cardstock to the silver cardstock on the card front. 6. Applied stickles in colors that matched the colors in my candles. Allow to dry. Silver Cardstock - 6.75" x 4.75"
White Cardstock - 6 5/8" x 4 5/8"
Hope you guys love the card. 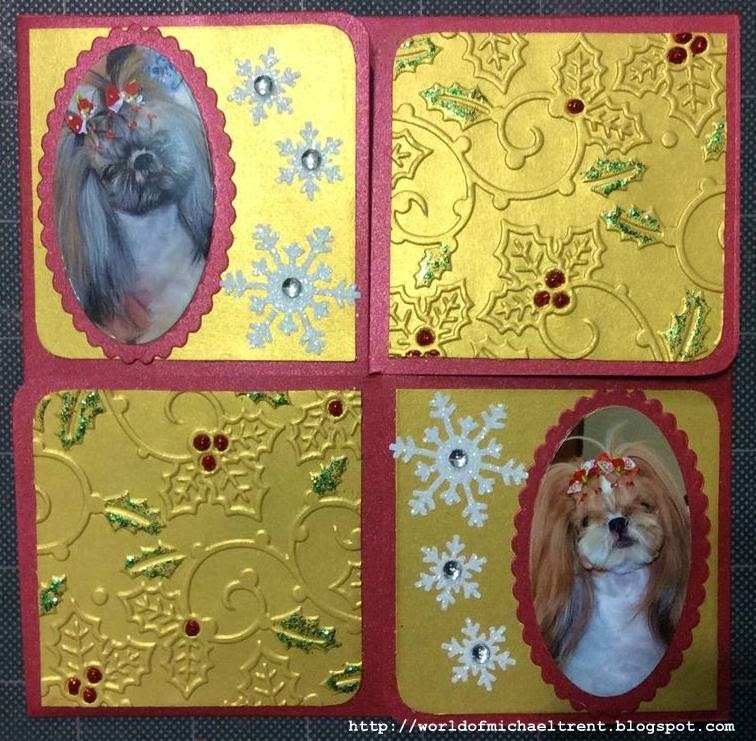 Remember to check out the cards on StencilGirl Talk. 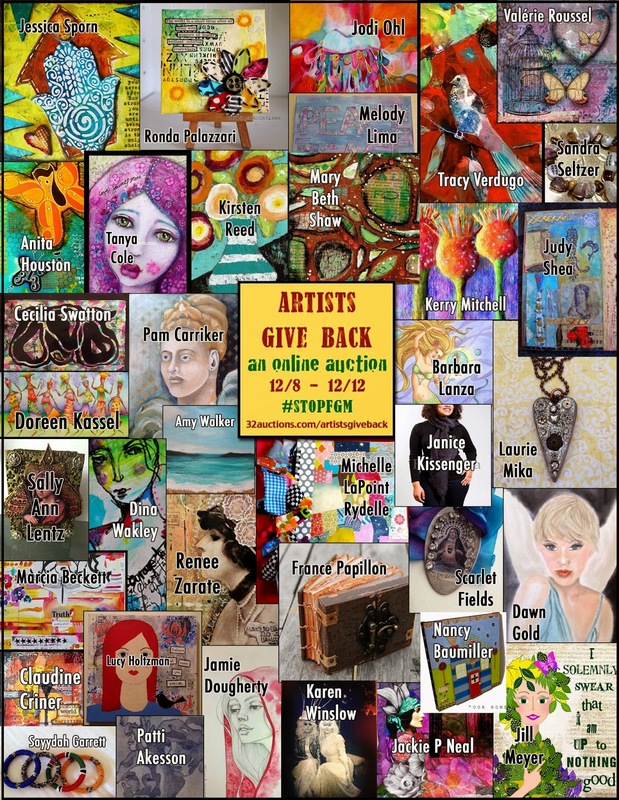 Artists Give Back - Amazing Auction - Get Your Holiday Gifts NOW!! Hello everyone. Are you looking for a one of a kind, fantastic piece of art for a holiday gift? Or are you the type that loves to just help out for important causes? Well there is an amazing auction going on that was started by the fantastic Jessica Sporn - to help raise awareness about female genital mutilation and to help bring an end to this ceremony imposed on young girls. All proceeds from this auction will be donated to http://www.pastoralist-child-foundation.org/, an organization devoted to educating and empowering girls with vital information needed to resist FGM and forced early marriages, and to adopt safe and peaceful Alternative Rites of Passage to womanhood. There are currently 47 pieces in this auction including books, clothing, jewelry, and amazing pieces of art by some very very talented artists including Jessica Sporn, Jodi Ohl, Ronda Palazzari, Kirsten Reed, Judy Shea, Dina Wakely, France Papillon, Pam Carriker, Jill Meyer, Mary Beth Shaw - and many many more!! Although I was asked to participate in this auction, I was not able to. But I will next time. I hope you can stop by, check out the items in the auction - maybe place a bid!! If you cannot bid, please share this blog post or the auction site and spread the word. The auction runs from today through December 12th! Gosh, I meant to do this post last Friday. Where does the time go? Anyway, while all of my American friends and family were having feasts for Thanksgiving and, since this is not a holiday that is celebrated here and we have no one to celebrate with, we went shopping. 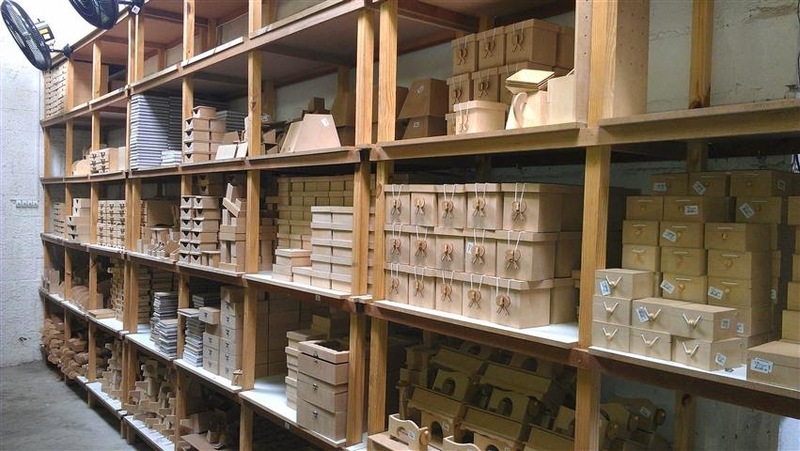 If you are a crafter, you probably know the Kaisercraft brand. 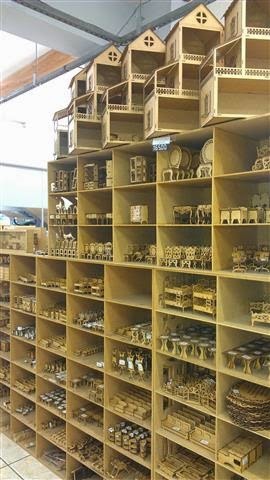 If you are not a crafter, Kaisercraft is an Australian company that manufactures small craft items made from wood, as well as stencils, papers, stamps and more. But they are really known for their wood products. 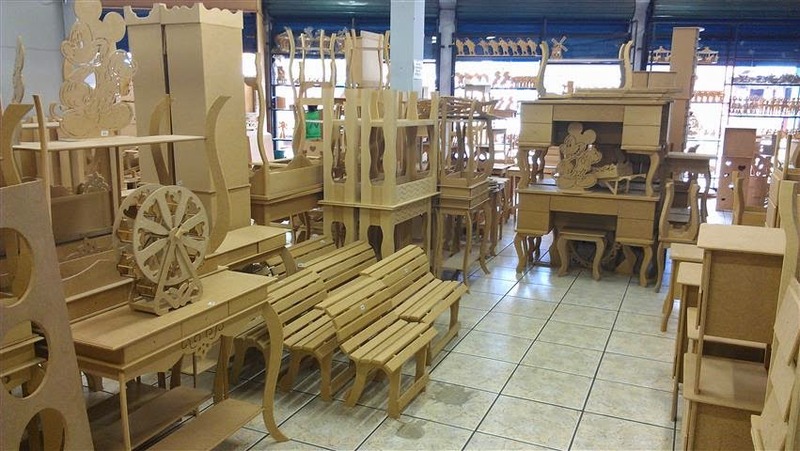 We have a town about 20 minutes away, called Pedreira, which is also known for their stores selling MDF wooden products. 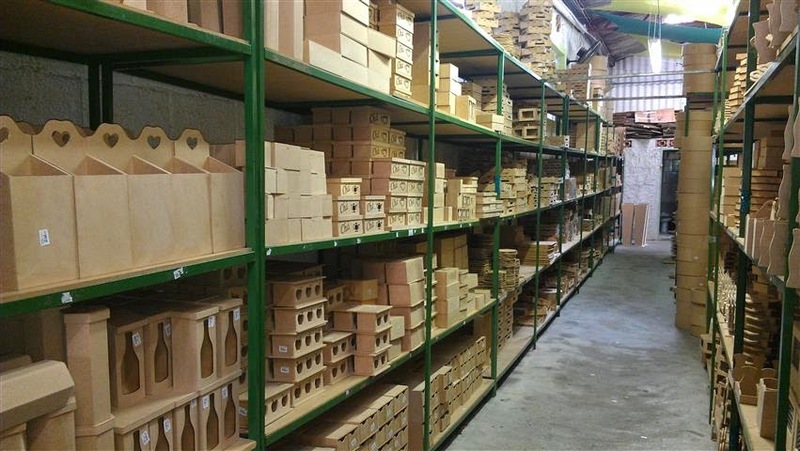 Pedreira probably has over 200 different stores just selling MDF products that range from small little dollhouse pieces all the way up to pieces of furniture. Some of the stores are small little shops and others are huge warehouses. It's crazy!! Arts and crafts is huge here in Brasil and painting MDF pieces, especially boxes of every size you can think of and then applying papers, stencils, and textures, is the norm here. And, as a crafter, one can get dizzy in some of these stores!! Below are some of the photos from one of our favorite stores - Vitrine. They even have a Facebook page. This is just one aisle. Another aisle in the back of the store. 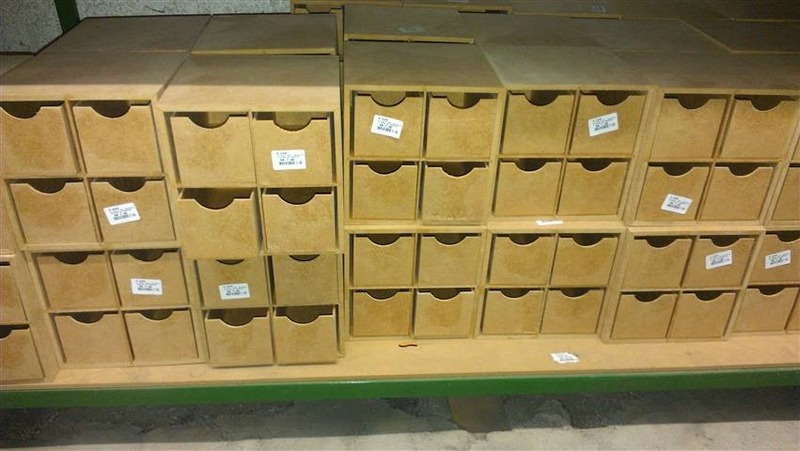 Boxes of every size possible. 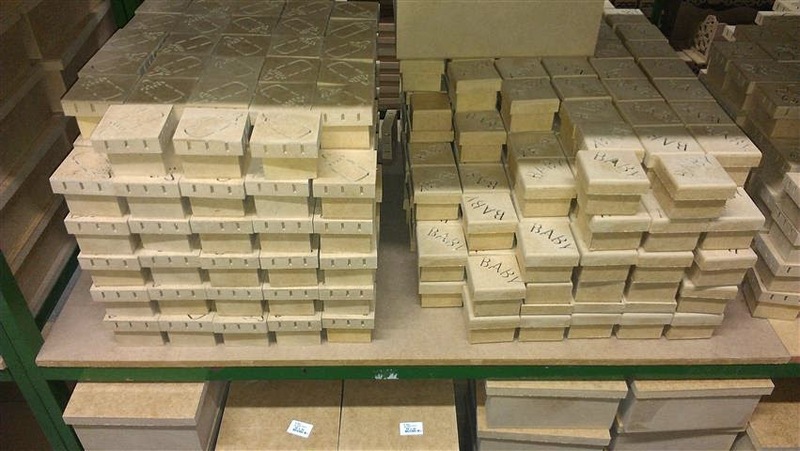 These small boxes are normally painted and given as wedding and baby favors. 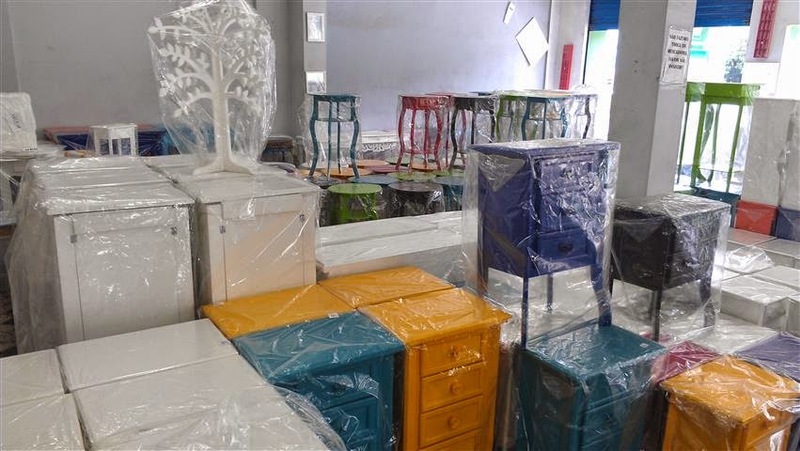 Some of the unpainted furniture. One side of the store is just painted and finished furniture that you can buy. Dollhouses and everything you can think of to put into one. Hey everyone. Sorry - it's been a crazy time and, as much as I have wanted to blog, I have been crazy busy with other things. Like puppies!! And emergency, last minute projects for clients. Puppies are doing well. Sunshine, Cappuccino, and Whiskey have all opened their eyes. Just waiting for Latte to open his now! As for the clients, last Friday we had someone stop over asking if I could make a signature book for her nephew's wedding. She wanted something simple. 25 black pages inside. Simple silver/white/black look. When did she need it by? 3 days later! I was able to pump this out in less than an hour!! Below are photos of the front of the book and the inside cover and first page. Then, not more than an hour later, another customer stopped by asking me to make some Christmas cards for her. She told me she wanted 6" square cards but she wanted the front to look like a closed box, where the 4 sides interlock with each other. 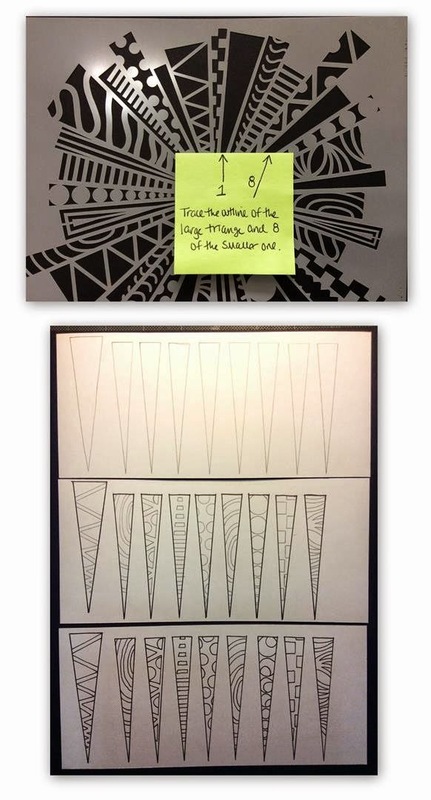 After checking Pinterest (my daily addiction), I found someone that had made a template for the card. Easy peasy. Next up was to get the production line moving. The production line of the 20 cards. The final card with the photos of the two dogs. Inside is just white cardstock. 20 cards done by Wednesday night. 2 days ahead of schedule. Just so you know, the client has yet to pick them up!! So much for needing them quickly. Now I am working on some new holiday cards to get out to family! !